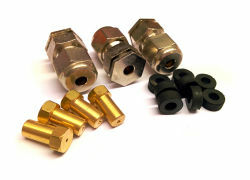 Our standard sized connectors have round pins with one slightly larger than the other to ensure the correct polarity is achieved on every connection. These connectors are available in thermocouple types K, J, T, N, R/S & B in the configurations shown and the contacts are made from original thermocouple materials to achieve full compatibility. We also have plain 2-pin and 3-pin copper connectors which are popularly used with RTD and thermistor probes. Hi-temp plugs, sockets and facia sockets (-50 to 220°C). Ultra hi-temp plugs and sockets (-50 to 425°C). Ceramic plugs and sockets (-80 to 800°C). 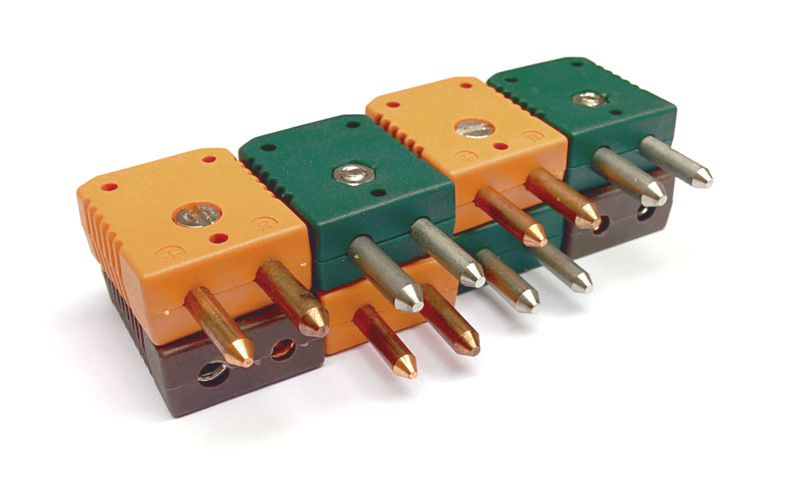 Our miniature sized connectors utilise standard flat pins with one slightly wider than the other to ensure correct polarity. Our miniature connectors are available in thermocouple types K, J, T, N, R/S and B as well as in both 2-pin and 3-pin copper contacts for use with RTD and thermistors sensors. Hi-temp plugs, sockets and panel sockets (-50 to 220°C). We stock a range of accessories compatible alongside our connectors to add extra function or presentational value to your sensor assembly or instrumentation. Our accessories are made to fit our connectors using various mounting holes and cut-aways which ensure a good fit and professional finish.